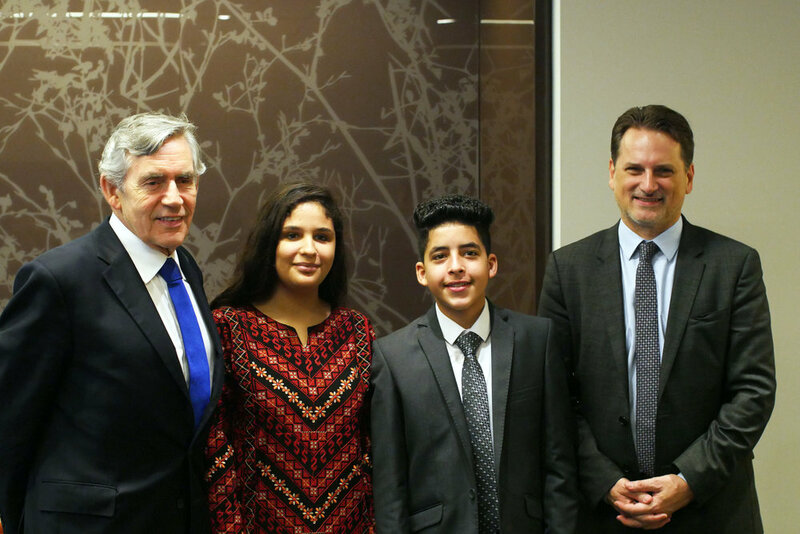 14-year-old Palestine refugee Aseel Soboh advocates at the U.N. General Assembly for her peers’ right to learn. Aseel currently lives in a Palestinian refugee camp in Beirut, Lebanon. In August 2018, a major funding crisis put hundreds of schools run by the United Nations Relief and Works Agency for Palestine Refugees in the Near East (UNRWA) at risk of closing their doors — the current U.S. administration ended decades of financial support for UNRWA, leaving a $300 million funding gap. As an UNRWA student parliamentarian, Aseel represents half a million Palestine refugee students who study in schools run by the U.N. agency. 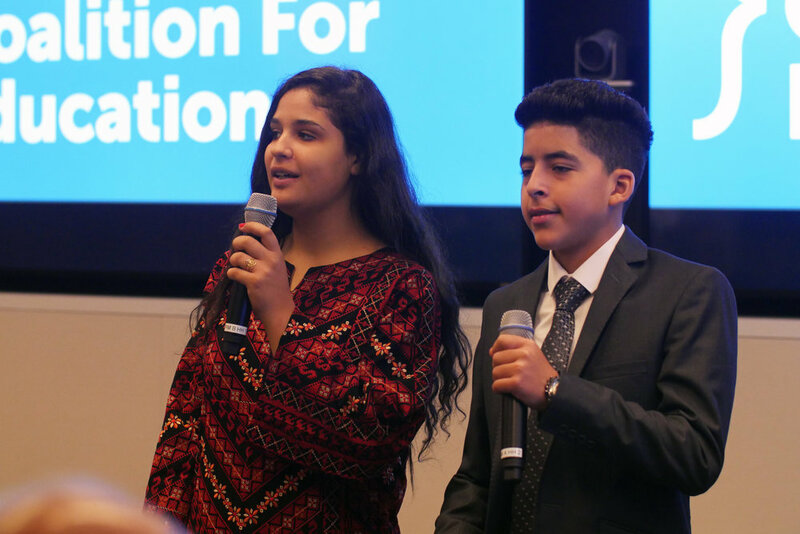 Aseel spoke before the 2018 U.N. General Assembly to tell world leaders about the challenges they face as refugee students and advocate for increased funding for Palestine refugee education. 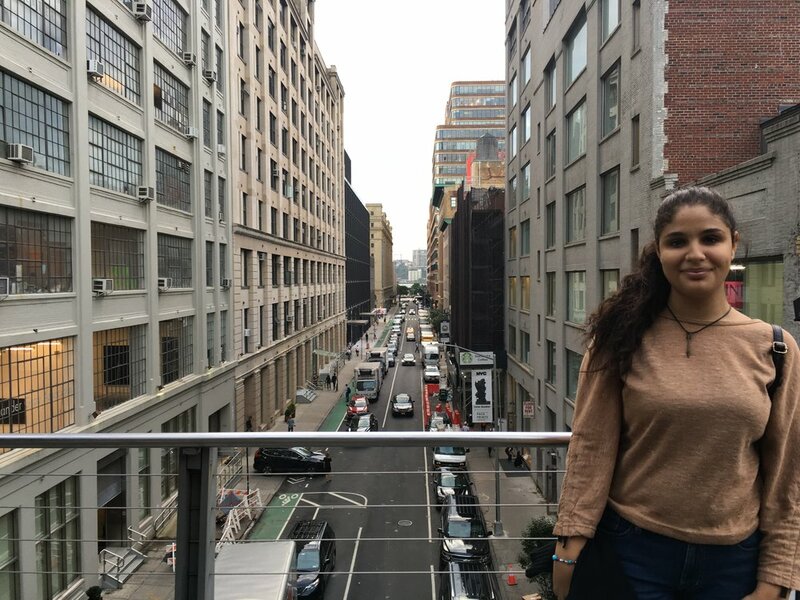 “Nothing is more important to us than our education and in my case, making sure that the voices of girls are heard,” Aseel said while advocating in New York. The 1948 Arab-Israeli conflict forced hundreds of thousands of Palestinians from their homes — including Aseel’s grandparents. Today, UNRWA estimates that there are about 5.4 million Palestine refugees eligible for their services in Jordan, Lebanon, Syria, the Gaza Strip and the West Bank, including East Jerusalem. Aseel knows she is fortunate because her parents support her education — she says that her friends’ parents don’t value education and encourage their daughters to drop out and get married. However, Aseel and her family face challenges being displaced. As refugees living in Lebanon, they are issued travel documents instead of passports. This means that it is difficult for Aseel to travel outside of Lebanon to meet with fellow UNRWA student parliamentarians who live in other countries. Palestine refugees in Lebanon are also prohibited from working in 39 professions according to UNRWA. Aseel’s father was originally working as an engineer in Libya. But when he moved back to Lebanon, where Aseel was born, he had to switch his career to teaching because Palestine refugees are banned from being engineers in Lebanon. He is now earning a fraction of what he used to earn. At the moment Aseel is preparing for the grade nine Brevet exam in Lebanon, one of the two most important exams for students living in the country. Despite her hectic schedule, Aseel finds time for student parliament because she is passionate about helping others. Bianca He is an editorial intern at Malala Fund. 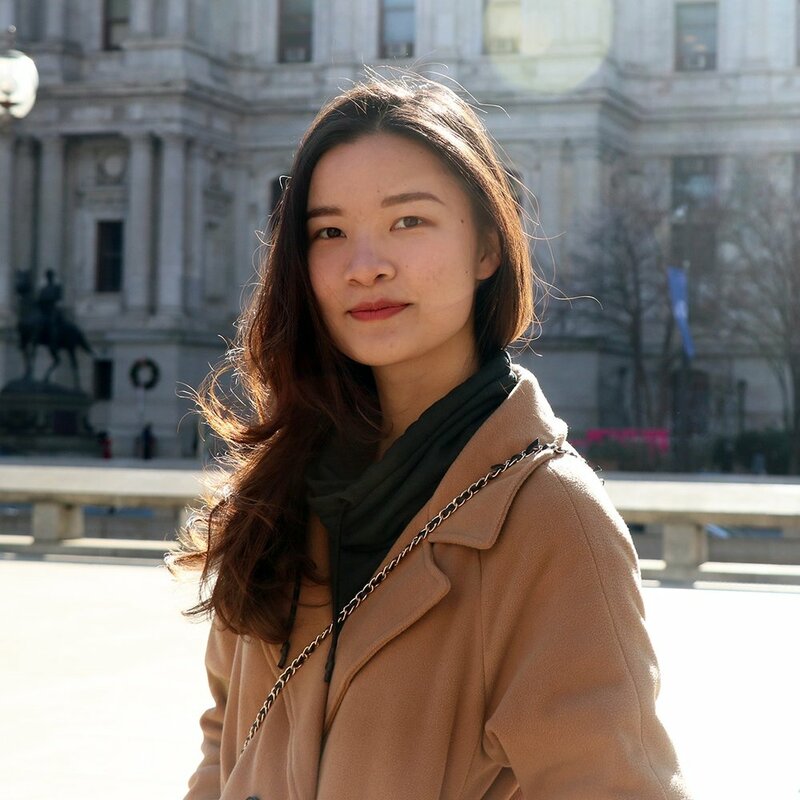 In her free time, she reads, hikes and craves for bubble tea.